24 hours to go before Shakespeare Birthplace Trustees meet to discuss the situation around the land they own at the back of Anne Hathaway’s Cottage, the land the developers need. So, here we are. The people of Stratford are against development. Stratford District Council is against development. Shakespeare Birthplace Trust is opposed to development. MP Nadhim Zahawi is against it. 800 people from Stratford, the UK and the world have signed the Save Shottery petition in just 100 hours. What if everyone could now work together, present a united front? What might we achieve? Now that Stratford District Council has recommended going for a final Judicial Review at the High Court (hopefully to be confirmed next week), we have a little more time. When we began the Save Shottery campaign, time was not on our side. Yet, thanks to the power of social media, in just five days we think we have achieved our first objective of putting Shakespeare Birthplace Trust under the spotlight – alongside Eric Pickles, Stratford District Council and Bloor Homes/Hallam Land Management. No mean feat – but all thanks to you and your support. As they prepare for tomorrow’s Trustees’ meeting, Shakespeare Birthplace Trust seems to consider it unfair that it has been singled out for attention this week. But the Save Shottery campaign strategy has been a simple one. If you’re going to win the war, you can only fight the battle in front of you. This week, in the war to save Shottery from development, Shakespeare Birthplace Trust has been the battle in front of us. This is what the Trust must understand tomorrow. Being under the spotlight doesn’t mean that Shakespeare Birthplace Trust is tainted in the same way as the other protagonists. At least not yet. As we await the outcome of the Trustees’ Board meeting, we are encouraging the Trust to come off the fence and be the hero of this controversial and unnecessary situation. Yesterday, we turned our attention on Stratford District Council, which met to discuss whether to recommend going to Judicial Review. We made it plain to them that this isn’t just down to the Shakespeare Birthplace Trust. We have to continue working on the people who got us into this mess in the first place. When the future of the Shakespeare legacy is at stake, there is no place to hide for any organisation with an important decision to make – locally, nationally, internationally. Thanks to all your support for Save Shottery, we hope the Shakespeare BirthplaceTrust and Stratford District Council can now see this. Whether the Trust and the Council will then act positively and decisively is another matter. 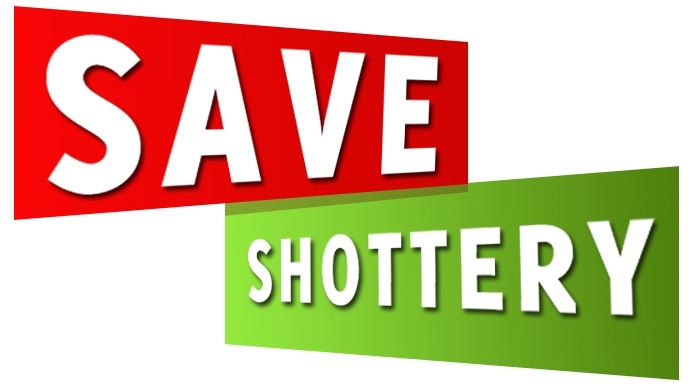 So, while it will not likely be as relentless in its activity as this week, the Save Shottery campaign will continue next week and beyond. We will be watching and acting. To all the cynics out there, people can change, people can change anything. We’ve shown all week, in adapting our message, that we can change, that we’re listening and responding to what the Trust says. Can the Trust now listen, adapt and respond? Can the Trust change? It needn’t take too long to think about it. Hopefully, thanks to the way that social media can reach around the world with such immediacy, the Trust realises that secrecy, inertia and procrastination will no longer serve it. This is a fantastic opportunity for Shakespeare Birthplace Trust. To take it, the organisation will need to radically change its approach to communicating and engaging with the world. SBT, we are with you on that and can help you with that. As long as you are prepared to see sense and fight more proactively and publicly to preserve the land around Anne Hathaway’s Cottage, for today’s and future generations. There are several tough questions that Shakespeare Birthplace Trust needs to answer, publicly, very soon. We appreciate that these are difficult questions. But, if you want the world to work with you, not against you, you need to come clean and set the position straight on a number of fronts. 1. Shakespeare Birthplace Trust has said it has always opposed development of Shottery land behind Anne Hathaway’s Cottage. But what has it ever done in practice to support that position? 2. Why did Shakespeare Birthplace Trust neither attend nor speak out at the Stratford District Council meetings to oppose development and the ensuing Public Inquiry – where the developers’ lawyers were able to belittle the importance of Shakespeare to Shottery? 3. Why would Bloor Homes/Hallam Land Management proceed with such a controversial development if they didn’t believe that Shakespeare Birthplace Trust would sell the land they need to them? 4. Before the planning and legal processes were even over, did Shakespeare Birthplace Trust, or any individual connected with it, lead Bloor Homes/Hallam Land Management to believe you would sell? 5. Has Bloor Homes/Hallam Land Management made an offer to Shakespeare Birthplace Trust for the land? Rumours say they have - anything between £4 million and £14 million. 6. Does Shakespeare Birthplace Trust really need money when it has £21 million in reserves and a rolling average annual income of about £8 million? 7. Apparently, the Shakespeare Birthplace Trust building in Henley Street needs urgent repairs and money from land sale could be devoted to that. Is this true? If so, how much money is needed for that? Not £14 million. Not £4 million. Are you seeking funds to have part of Cottage Lane pedestrianised in front of Anne Hathaway’s Cottage? Or to build a new Visitor Centre? If so, why not fight land sale, communicate your need and fundraise separately for these? 8. Given that Shakespeare Birthplace Trust holds the Shakespeare buildings in trust for the nation, according to Act of Parliament, isn’t it an absolute priority of Shakespeare Birthplace Trust to reach a decision quickly on Shottery and communicate that publicly? The fact that Trustees only regularly meet twice a year is no answer. What’s stopping you speaking out? 9. Wouldn’t a charity whose only agenda was preservation do anything – and be open to offers of collaboration - rather than sell out an international icon to developers? 10. If Shakespeare Birthplace Trust is to change and adapt to the modern world, doesn’t it need to review its Governance? It has an archaic Trustee structure which no longer reflects the 1961 Shakespeare Birthplace Act - would the Charity Commission be interested in your fitness for the role you exist to fulfil? 11. Although you are not legally obliged to do so, in the interests of transparency will you publish a list of the Trustees who have declared a conflict of interest between their role as a Trustee and their personal or business interests elsewhere? 12. With one of the biggest cultural ‘draws’ in the world, why not be the heroes here and work with people and organisations - locally, nationally and internationally – to preserve Shakespeare’s legacy, life and times for everyone, rather than the business interests of a few?